February 26, 2018 Dan O. Watch your kids, parents. Please. Soak it up. But not for too long. Don’t forget that you have this little thing called, I don’t know, responsibilities. 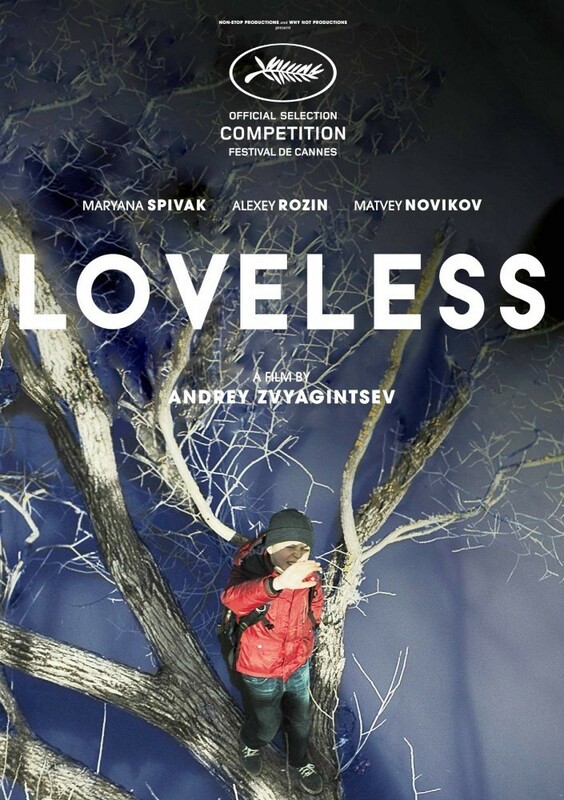 Loveless is the latest from co-writer/director Andrey Zvyagintsev, who’s made something of a niche for himself by creating these small, yet disturbingly sad and depressing character-studies of normal, everyday people, stuck in not-so normal, everyday situations. His movies, while put together exceptionally well, are so cold and so upsetting that honestly, they’re very hard to get into. You understand and can see the craft, but not much resonates, only just because it seems like he’s enjoying the darkness a tad too much. But Loveless is something of a different beast. It’s still a dark and generally upsetting movie no matter what, but there’s a tad bit more to it than you’d expect. Surprisingly, the characters involved, who aren’t the most morally upright people, we actually grow to like, sympathize, and even love, mostly because we can sort of identify with them, even before the child goes missing. Boris is just a man trying to find love and happiness, even though he doesn’t know where to find it and is looking in all of the wrong places, whereas Zhenya is the same way, except that she’s found love, she’s found happiness, and she wants it to change her life for the good. Cheer up and sheer up, bro. Together, the two can’t be in a room together without breaking some sort of object, which is why they’re arguments go beyond a simple tiff and edge right on over to full-blown war. They’re tense, scary, and a little maddening, but they also feel all too real and the perfect reason why Zvyagintsev, while still too pleased with his darker sides, has an ear for dialogue and gets how people speak to one another, either when they’re tense, or they’re happy. It’s the kind of movie where nothing feels like it’s happening for the longest time, but that’s okay because the characters are so interesting, the lives are compelling, and the performances are so good, you could sit back and watch this go on forever. It’s almost like a Mike Leigh film, albeit with more subtitles and depression. But of course, the movie changes into a different gear about halfway through and it’s where Loveless loses a tad bit of steam. In a way, it becomes a procedural about finding the son, the parents navigating through their lives, trying to be normal and sane, and most of all, yelling and fighting with one another. It’s not necessarily as unpredictable as you’d expect, but still, there’s something about the way Zvyagintsev holds a shot that puts you on-edge, even if you don’t know why. The change from character-drama, to thriller, isn’t a very clean and clear-cut one, but it still works because we care for these characters and we want to know what happens to their lives, even if they are also some awful and downright selfish human beings. Consensus: Loveless is another dark and depressing affair courtesy of Russian writer/director Andrey Zvyagintsev, but also features compelling characters and great performances that are more than enough to keep us above the tears. Don’t worry, son. They really do love each other. I promise.